Swift Insight is a market research community, managed and maintained by Swift Research Ltd. Created in 2005, Swift Insight was designed to provide a more effective way of communicating with people willing to participate in market research studies. 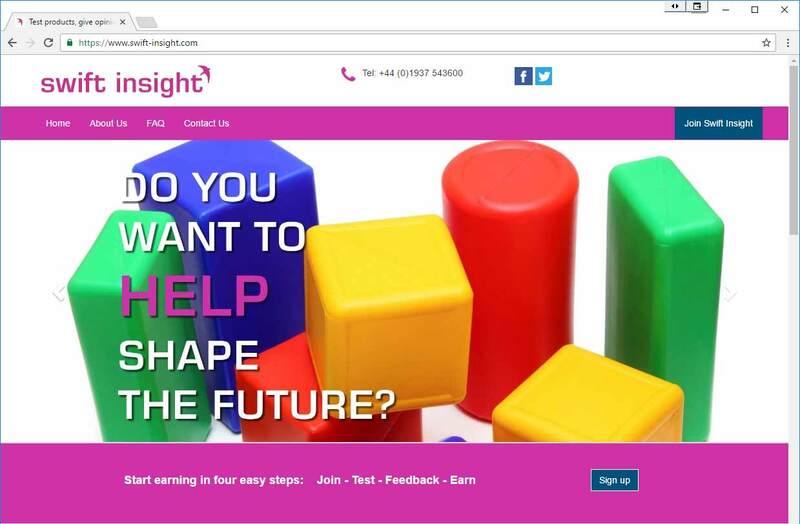 Swift Insight members are primarily invited to take part in market research projects via email. This will usually involve qualification questions, testing a product, completing a questionnaire then receiving vouchers or cash. Panellists test a wide variety of products including food and drink, personal care, baby products, toiletries and laundry products. There are no membership fees, no fixed sign up period, no hidden agenda. If at any point members wish to leave Swift Insight, they can email us and their details will be removed.